In step with its international ambitions, Ant Financial Services Group, the payment business arm of Chinese e-commerce giant Alibaba Group, has agreed to buy US money-transfer company MoneyGram for $880 million. 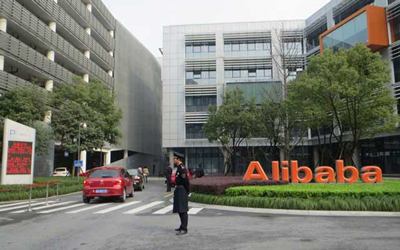 Alibaba and Ant Financial hold a significant stake in One97 Communications Ltd, the parent company of mobile wallet firm Paytm. Reuters reported that Ant Financial's Alipay payment platform dominates the online payments industry in China and is looking to expand its presence overseas as competition from Tencent Holdings Ltd's WeChat payment system heats up at home. MoneyGram, which started as a small money-order company in Minneapolis in 1940, is now second only to Western Union Co among money-transfer providers. It has about 350,000 outlets in retailers, post offices and banks in nearly 200 countries and territories, said the Reuters report. MoneyGram is Ant Financial's second acquisition in the United States; it had bought optical verification technology provider EyeVerify last year. According to Reuters, Ant Financial, which is valued at nearly $60 billion, has been tapping into investors for pre-IPO financing to fund expansion as Chinese consumers shift more of their banking, payments and investing online. The company plans to go public this year.